The coal industry has hit hard times. This summer several coal companies, including Alpha Natural Resources and Patriot Coal, filed for bankruptcy. St. Louis-based Peabody Energy, the world’s largest private coal company, is not immune. The coal giant’s share price has fallen nearly 97 percent in the last five years. The company recently did a reverse stock split, bundling 15 shares into one in order to avoid share prices going below $1. Peabody Energy spokesman Vic Svec said as a commodity business, they’re used to the volatility. "The coal industry is a classic trough to peak industry," he said. Svec said they’re optimistic that the market will turn around. In the meantime, Peabody has been taking steps to get back on track. "We have two financial priorities. One of those is maximizing our liquidity, the other one is reducing leverage," he said. In other words, Peabody wants to reduce costs, get more cash on hand, and reduce its debt. This summer the company announced it was laying off 250 executive and regional employees in the U.S., closing two regional offices and selling some of its mines. The other step Peabody is expected to take is restructuring about $6 billion in debt. The company recently hired Lazard Ltd. to advise it on a possible debt exchange. What happened to coal markets? The domestic demand for thermal coal, used in power production, has been on the decline in recent years. That’s as natural gas prices continue to drop, by as much as 30 percent from last year, according to Robert Godby, an associate professor of Economics and Finance at the University of Wyoming and director of the university’s Center for Energy Economics and Public Policy. "This is like the perfect storm of threats facing the coal industry," Godby said. In April, for the first time ever, natural gas edged out coal as the top energy source for the generation of electricity. 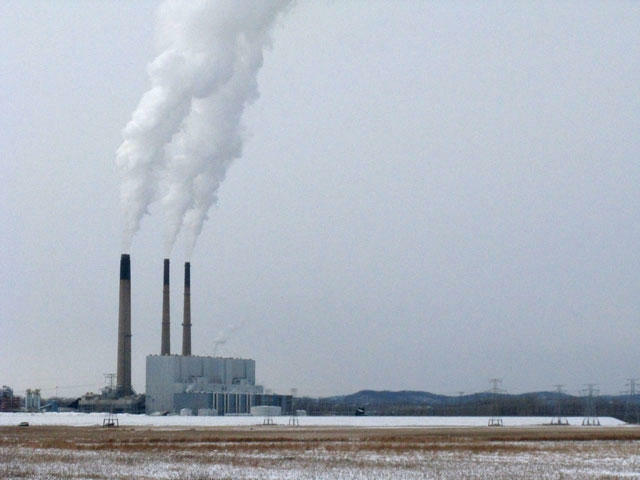 Godby said pending carbon emissions regulations are making it even tougher for coal. "When you burn it, you get about double the carbon dioxide out of coal as you do out of natural gas," he said, "so as companies look forward they think about their investment decisions, they’re thinking more gas, especially while it’s cheap." At the same time, the international market for coal has experienced an even more severe drop. That’s largely because China’s demand for metallurgical coal, used for steel-making, is drying up. "They were the biggest and most significant source of demand in the global market," said Kristoffer Inton, an analyst with Morningstar, "and so their slowing down has really overshadowed some growth that’s coming in some smaller countries." Inton said there also is an oversupply of metallurgical coal, in part because when prices spiked in 2011, coal companies such as Peabody Energy bought more mines. They were expecting prices to stay high and China to keep buying. "The acquisitions were largely financed with a lot of debt," Inton said. "That’s what they’re trying to digest right now, is massive amount of debt for assets that really are going to struggle to generate the kind of return that they had hoped." Peabody Energy is in a better position to avoid bankruptcy than some other companies, including St. Louis-based Arch Coal, according to Inton. "Both of them are overburdened with too much debt, but Arch has some slightly less attractive assets," he said. Arch Coal invested heavily in eastern U.S. mines, but the coal from Central Appalachia has struggled to compete with natural gas. Arch began an effort to restructure its debt this summer, and Inton said Peabody Energy is likely watching closely. "If Arch is able to succeed in their restructuring, that bodes well for Peabody," he said. But how fast the coal market will recover, or how much, is far from certain. Professor Godby said while Peabody is making the right moves, its ultimate fate is tied to coal in general. "The question is can they last the storm, and some people are asking will this storm ever end," he said. "It could be that circumstances aren’t going to get better again, that maybe the time for coal is past." Patriot Coal filed for Chapter 11 protection Tuesday, less than two years after emerging from bankruptcy. 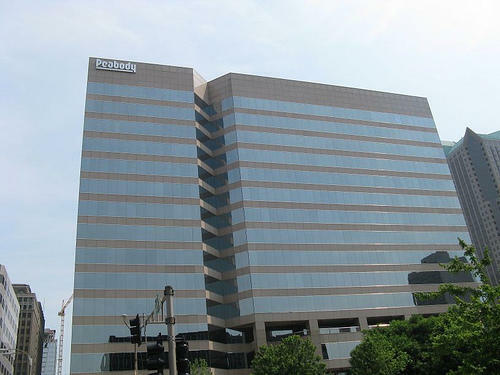 Patriot, which was spun off from Peabody Energy in 2007, was headquartered in St. Louis until earlier this year. The company is now based in Scott Depot, West Virginia, and filed bankruptcy in the U.S. District Court Eastern District of Virginia. President and CEO Bob Bennett said “challenging market conditions” in coal led the company’s board and management team to make the decision. The company is in negotiations to sell its operating assets to a strategic partner. Peabody Energy is asking the Environmental Protection Agency to withdraw its proposed carbon emission rules. The St. Louis-based coal company took part in the EPA’s hearings on the rule Tuesday morning in Washington D.C. The agency is also holding hearings in Atlanta, Denver and Pittsburgh Tuesday and Wednesday. The EPA’s proposed rules seek to reduce U.S. carbon dioxide emissions in the power sector by 30 percent by the year 2030.